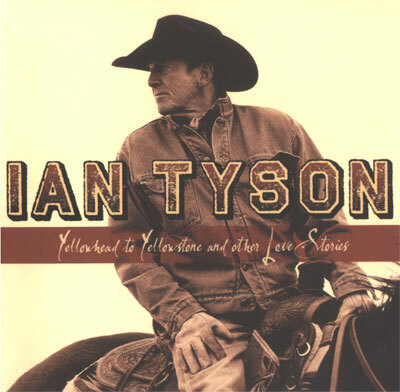 Yellowhead to Yellowstone is Ian Tyson's long-anticipated new album, and it's got a ton of wonderful buckaroo music on it. Already the subject of acclaim in many of the big stock horse magazines, Ian has brought some wonderful, serious music to the home corral with this one. Devotees will notice the change in his voice, but nothing can take Mr. Tyson's lyrical genius and powerful presentation away from him. "Bill Kane" alone is reason to purchase the album, as it is sure to become a real classic. "Blaino's Song" includes a passage about Wickenburg, Arizona, which is a real plus as far as we're concerned. This is modern Western and Cowboy Music, and as such it tells the good with the bad and showcases the extreme nature of the West in all aspects.